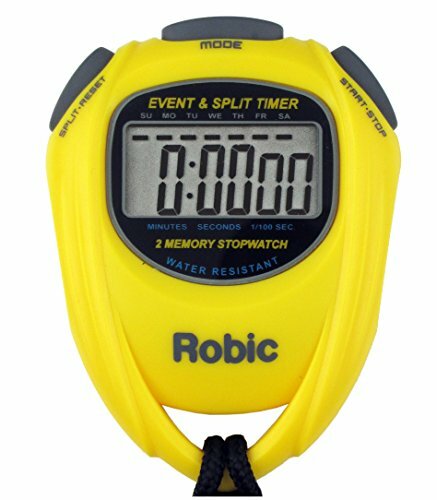 Ultra Precise, multi-mode stopwatch with memory recall and lap counter...Water Resistant to 30 meters & Breakaway Safety Lanyard. 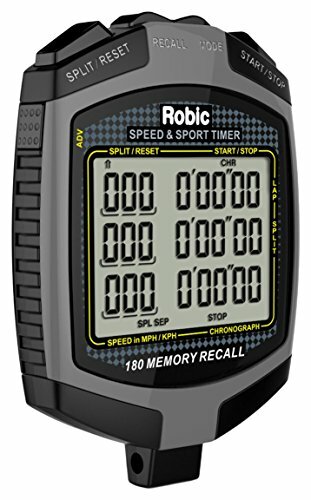 The Robic sc-539 offers superior quality and features not found on any other entry level stopwatch: built to last longer than any stopwatch at this price. 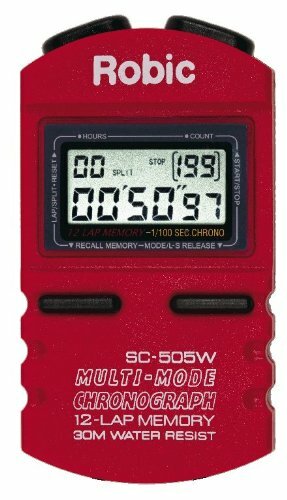 Multiple function timer combines the two most popular functions: a dual split stopwatch with an advanced multi-mode countdown timer in a single, professional quality timer...Water Resistant to 30 meters & Breakaway Safety Lanyard. The sc-877 offers world class timekeeping functions in a sleek and modern new form developed with comfort and ease of use in mind. 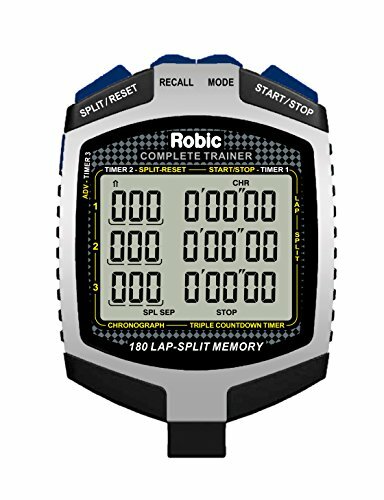 Exclusively from Robic is the new sc-877 complete training timer-the stopwatch which passes the field with ease as the best choice for track & field, swimming, running, tri-athletics, personal training, tabata, cross-fit and all fitness programs. Benefit from the powerful memory stopwatch and countdown timer for all athletic and fitness training. 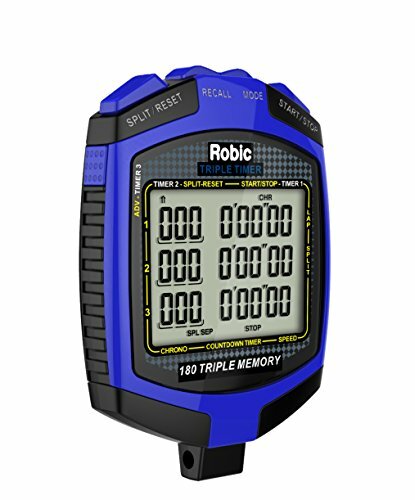 Exclusively from Robic: the most advanced and versatile handheld timer in the world. Why hassle with 2 or 3 stopwatches hanging around your neck to track different events the SC-899 times one, two or three events or participants at once. 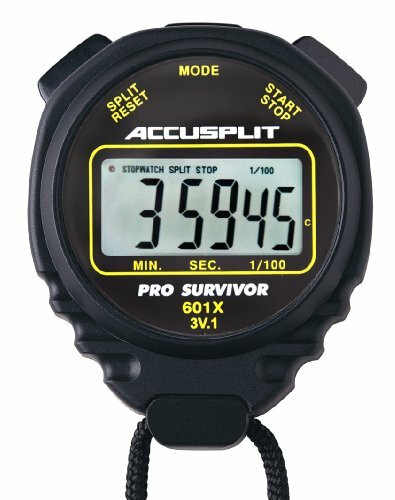 Select the most popular and reliable stopwatch in the market. The Robic SC-505W is easy enough to use the first time you pick it up and powerful enough for the most demanding Coach or Trainer. 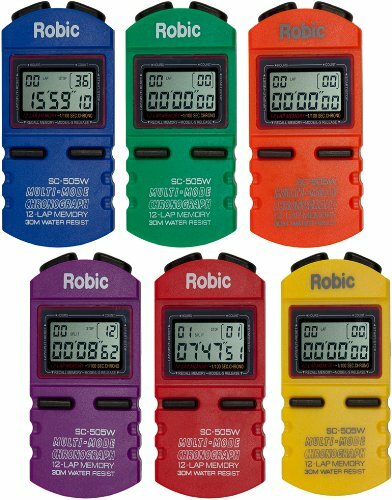 Now you can get a 6 stopwatch pack of assorted colors for assignment to different people. That helps each person use and identify their stopwatch without any hassle. 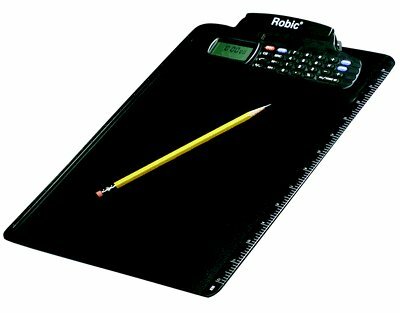 The Robic SC-505W is Water Resistant and has a long life battery. It offers three (s) separate stopwatch timing functions: Lap times, Split times and Single Event times so you can track the results in any way you wish. It also counts the number of readings you have taken and the 12 memory recall is available without having to interrupt your timing. 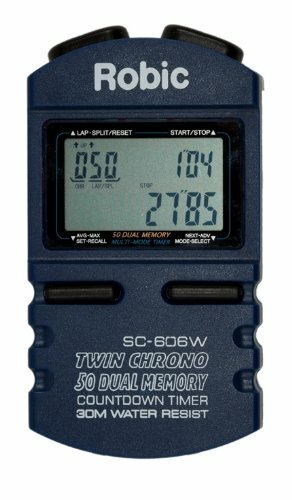 The SC-505W tracks up to 199 readings with access to the previous 12 from Memory. Use it for the easiest and most accurate results for any event or activity you want to measure. The world's best motor sports performance stopwatch 180 dual memory stopwatch memory speed timer in mph/kph track the results of your team in more ways than ever before. The SC-889 offers world class timekeeping functions in a sleek and modern new form developed with comfort and ease of use in mind. Use the sc-889 at any racetrack or speedway in the world! track the results of your team in more ways than ever before. Keep up with the results up to 1000 laps with memory recall of the previous 180 readings. Select accumulated split or running lap time display; reports lap speed, time and number. 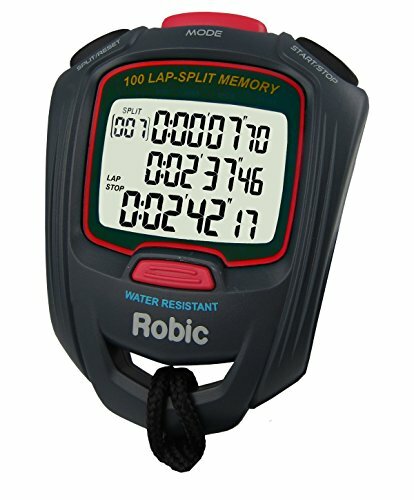 Compare prices on Robic Stopwatch at ShopPlanetUp.com – use promo codes and coupons for best offers and deals. We work hard to get you amazing deals and collect all available offers online and represent it in one place for the customers. Now our visitors can leverage benefits of big brands and heavy discounts available for that day and for famous brands.